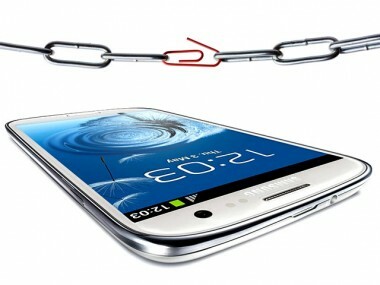 Samsung said Wednesday that it is working to fix a security flaw related to the lock screen on its Android devices. The flaw, posted on Terence Eden’s website, could allow a user to skip any security measures and open any app. Eden also posted a video showing how the flaw can be exploited. The issue is unique to Samsung’s implementation of Android, and is not present in the stock build of Google’s operating system, Eden said. Eden said the issue is definitely present on the Galaxy Note II, and is likely there on the Galaxy S III. He added that he reported the issue to Samsung in February.